Friday February 1, 2019-A former Eldoret North MP narrated how Deputy President William Ruto punched him at State House; an incident that may have led him to his death six years later. 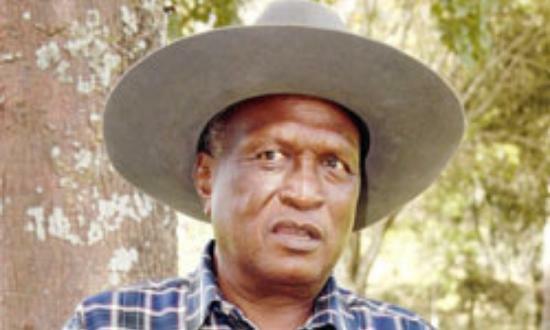 Speaking during an interview, the late Reuben Chesire noted that it was mid-2002, during the run-up to the General Elections, when he met Ruto at State House in Nairobi after he went to see then President Daniel Arap Moi. "I had gone to State House to seek permission from former President Daniel Moi to travel abroad on official duties," he said. Chesire remembered meeting Ruto on the corridors of State House and an argument ensued before Ruto landed a heavy blow on his chest almost blacking him out. "I have had roadblocks all my (political) life. To this day, I have never known why my enemies have been so rough with me. I have been fought all through,” Chesire narrated before he died. Ruto confirmed the incident but maintained that he did not punch the late Chesire, who was eyeing the same seat as him in the upcoming elections. He died in 2008 in a hospital where he was rushed after complaining of chest pains. this is pure lies. the guy died of shock after discovering his last wife stealing from him after his bank manager showed him the loots as he was borrowing a loan for her kids to travel to the USA. He discovered he was living with the devil for a wife. Zombie stop this baseless fixation on the dp cos your satanic heart and soul hates the dp.